An inner west site has been launched to market, billed as as one of the most covetable and strategic Sydney freehold properties to be offered for sale this year. Ray White Commercial NSW is seeking expressions of interest for 11 & 11A Edinburgh Road, a strategically located Marrickville property with possible future development upside. 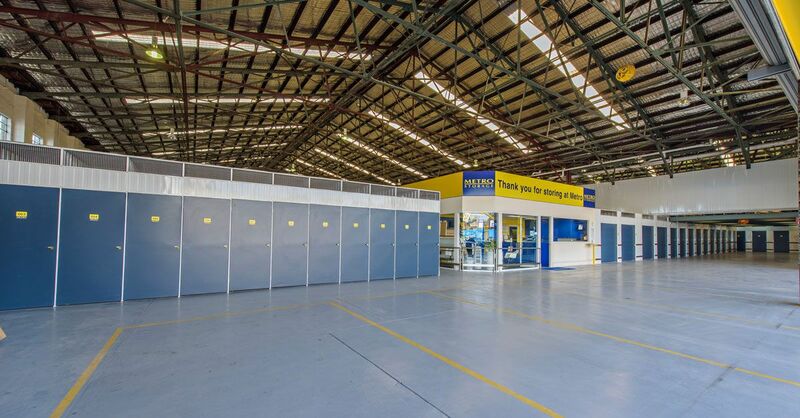 The property is owned and occupied by Metro Storage, which operates several self-storage facilities around Sydney. The business has been trading at the 7125sqm site since 2010, a key phase in Marrickville’s gentrification. Ray White Commercial NSW managing director Jeff Moxham says the property is in perfect alignment with Marrickville’s urban renewal transformation — not only for its potential, but also because of its name and history. Marrickville Metro is in the midst of a $140 million 50,000sqm redevelopment and Sydenham train station is to get a $240 million upgrade. The property is also close to the future WestConnex interchange at St Peters. Mr Moxham says that because the property may be considered for medium-high rise redevelopment by the NSW Government in the future, the owners were inspired to prepare conceptual schemes that show the site’s possible future potential. “The vendors have prepared indicative mixed-use conceptual schemes that have been specifically designed to capitalise on the inner west’s creative urban environment and alignment with other major development activity in the area,” Mr Moxham says. “The scheme, titled Metro Central, proposes 25,000 to 30,000sqm of GFA including creative-based commercial spaces, ranging in size from 5000 to 10,000sqm, and four to eight levels of residential above this, subject to council approval. Mr Moxham is taking the property to market with Ray White Commercial NSW associate director Ben Kirby and director-partner Matthew Ramsay. Mr Kirby says: “This property is an opportunity for an incoming purchaser to make their mark on the multi-billion-dollar revitalisation of Marrickville, with multiple options for income in the short, medium and long term. Mr Ramsay says Marrickville’s accessibility will improve further as transport infrastructure in the area improves. “Once the WestConnex project is finished, anywhere in Sydney becomes easily accessible from Marrickville with the St Peters interchange within 1km of the property,” he says. Expressions of interest for 11 & 11A Edinburgh Road, Marrickville, close at 3pm on Wednesday, August 8, 2018.